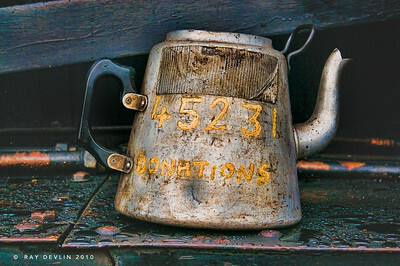 An old kettle sits on the frame of a steam engine at Fort William, ready to lead the Jacobite excursion train to Mallaig in the Scottsh Highlands, 2010. 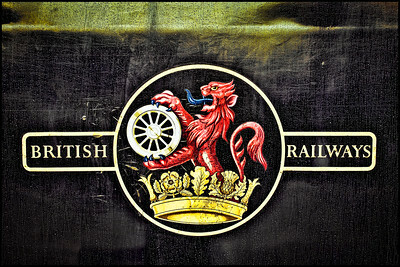 An iconic logo of decades gone by, the old British Railways logo on a very wet #45231 steam locomotive, ready to haul the Jacobite at Fort William, 2010. 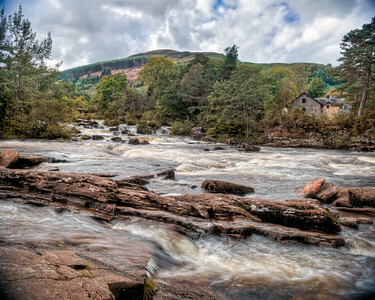 There were lots of good opportunities to long exposure shots at the idyllic setting, called the Falls of Dochart, in the picturesque town of Killen in the Scottish Highlands, 2013. In the end, I went for only a very brief hold of the shutter, as some of the turbulent water really did add to the image. 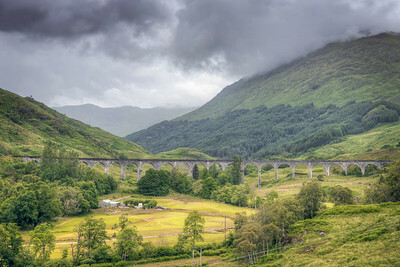 I bagged this spot by the door as soon as the train left Fort William, determined to get this iconic view of the famous Glenfinnan Viaduct, Scotland, 2015. If only the steam locomotive still had a head of steam to puff out, the picture would be complete, but we were slowing down for a station stop. 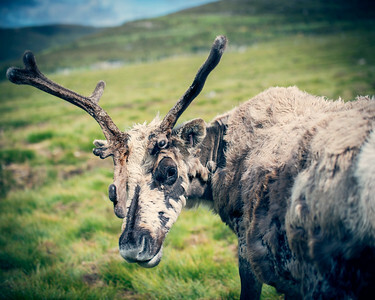 We go to see these reindeer at very close quarters, even getting the chance to feed them. I would guess that they are very used to human contact on this mountain reservation at Glenmore, near Aviemore, 2016. 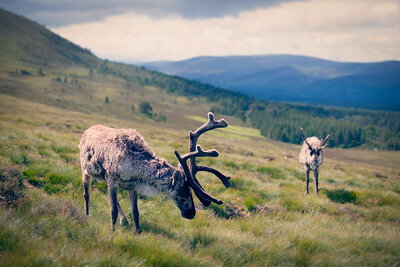 This is another view of the Scottish Highland mountain landscape, complete with a couple of reindeer for good measure. This on a refuge at Glenmore, near Aviemore, 2016. 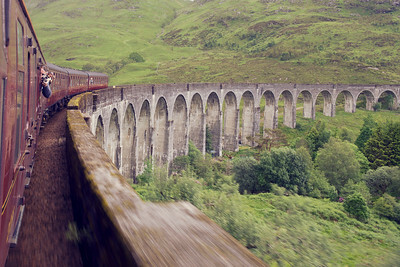 Most people at this vantage point look the other way, towards the Gelenfinnan Viaduct, but this view is just as stunning. This is a shot of the Scottish highlands, nr the Bonnie Prince Charlie Monument, 2016. 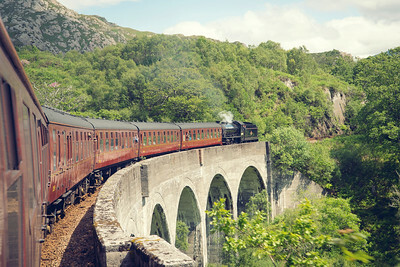 A view of the famous Glenfinnan Viaduct. 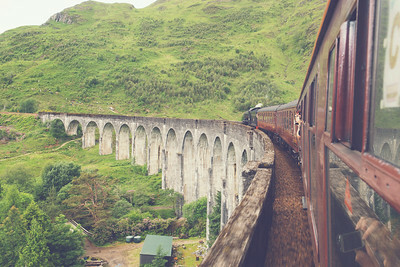 No Hogwarts Express steam train in this image, sadly, as it was quite late leaving Fort William. Nevertheless, this is a wonderful part of the Scottish landscape, 2016. 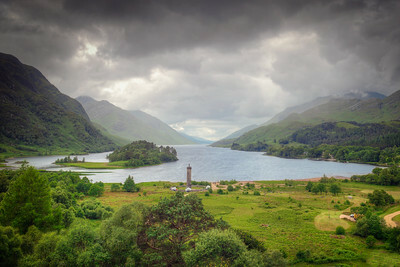 This is where we caught with the Jacobite, after abandoning Glenfinnan due to its non-appearance. 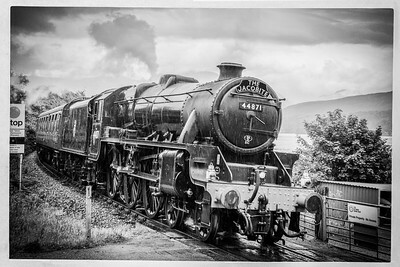 This was shot at a rainy Loch Eil Outward Bound, a place I only knew as the name of a Class 37 locomotive in my youth. 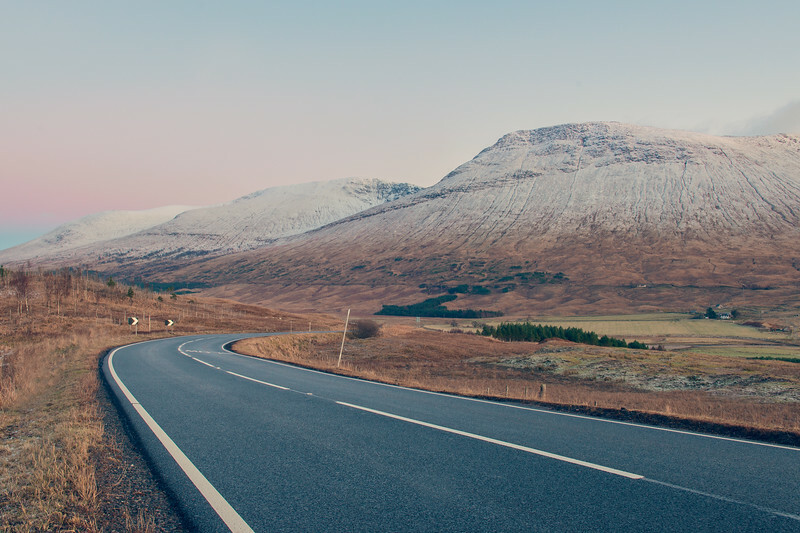 Scottish Highlands, 2016. This is a view of Loch Ness, near Drumnadrochit, 2016. This is a huge body of water, and with such very large fetch lengths, it's no wonder that it can get so choppy. Scotland, 2016. I wish there had been more vantage points for a view of the infamous Loch Ness, and also better weather. This was as good as it got, but it did show just how expansive this body of water is. This is just south of Drumnadrochit, Scottish highlands panorama, 2016. 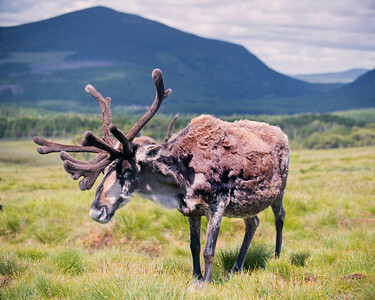 This is a panoramic view of the reindeer refuge at Glenmore, near Aviemore in the Scottish Highlands, 2016. It was in the middle of summer, but actually quite cold up here. 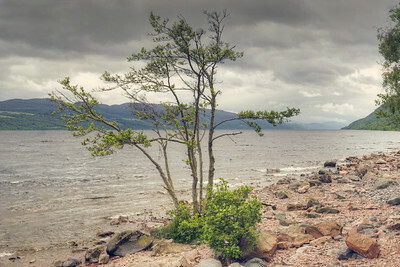 This is a very picturesque part of Scotland, with some dramatic views on the drive between Loch Ness and the west coast. 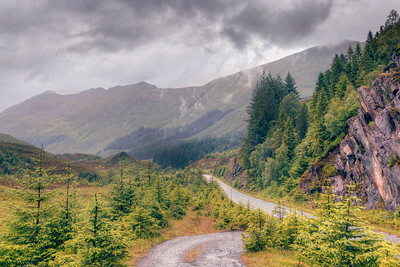 This particularly view was on a rainy afternoon in the Scottish Highlands, specifically at Glen Shiel, 2016. Which there had been just a little more snow; but this was a fantastic (short ) walk in the Scottish Highlands towards a remote little cottage in the shadow of the mountains at Achallader. 2017. 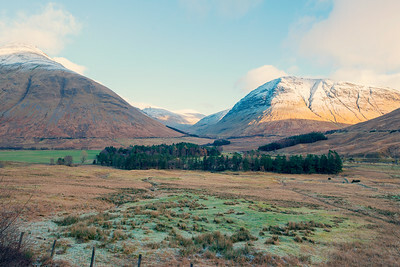 This is a view of the mountains just north of Tyndrum in the Scottish Highlands, on the drive up to take photographs of Glencoe. Not many truly great vantage points to get great shots of this landscape, but it was interesting enough to stop and take it all in. 2017. I simply could not pass this shot up; the winding road, the subtly pink skies and the snowbound mountains made for a fantastic photographic composition. Perhaps i wish that it had been a little darker to capture the traffic head light tails, but i had a car full of passengers that really wanted to get home! 2017. This is the West Highland Main Line, a single track railway between Glasgow and Fort William. Strictly speaking, this is trespassing, but ...you know. Besides, I was actually trained by Railtrack back in the day. Scottish Highlands, 2017. 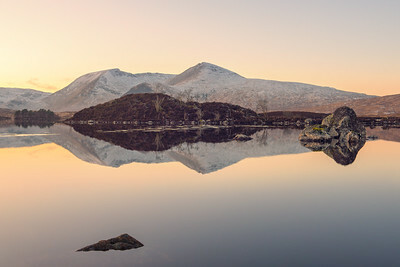 The name of this loch was a little complicated, in Gaelic i think, so i felt safe just to describe this as a part of Rannoch Moor, just south of Glencoe. The late evening light was so tempting that I actually turned the car around to get this shot. Scotland, 2017. 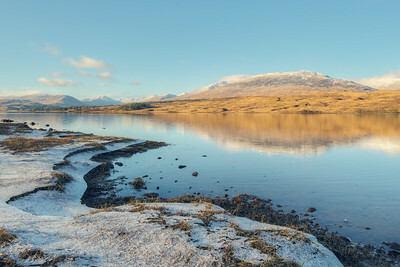 This is Loch Tulla, which some very frozen looking shores. 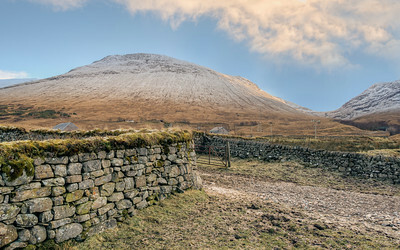 Loch Tulla is about half way between Tyndrum and Glencoe, in the Scottish Highlands. Actually broke my tripod taking this shot. 2017. 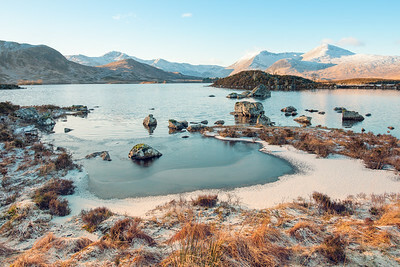 Some very icy conditions on a loch in the Scottish Highlands, this one at the edge of Rannoch Moor. I actually stopped at this location on the way north and south during our visit to Glencoe, such was the beauty of the place under a range of lighting conditions. 2017.